The Vilnius Regional State Archives, Utena Branch is a branch of one of the State Archives in Lithuania. The Vilnius Regional State Archives, Utena Branch preserves documents of regional state, municipal, non-state institutions and individuals of the Utena, Molėtai, Ignalina, Zarasai, and Anykščiai districts from 1945 until the present day. Archives is also involved in the supervision of records management of local public institutions. A set of documents relating to the period of Independence (since 1990): documents created by the state and municipal institutions, organisations and enterprises that have been functioning and still are functioning on the territory of Utena County. Despite the fact that the documents preserved in the Archives mainly refer to the post-war period, there are also documents (usually, in the property inheritance cases) dating to the period of the Russian Empire. Any digitized records of the Vilnius Regional State Archives Utena Branch will be hosted at the National Library site, ePaveldas.lt. 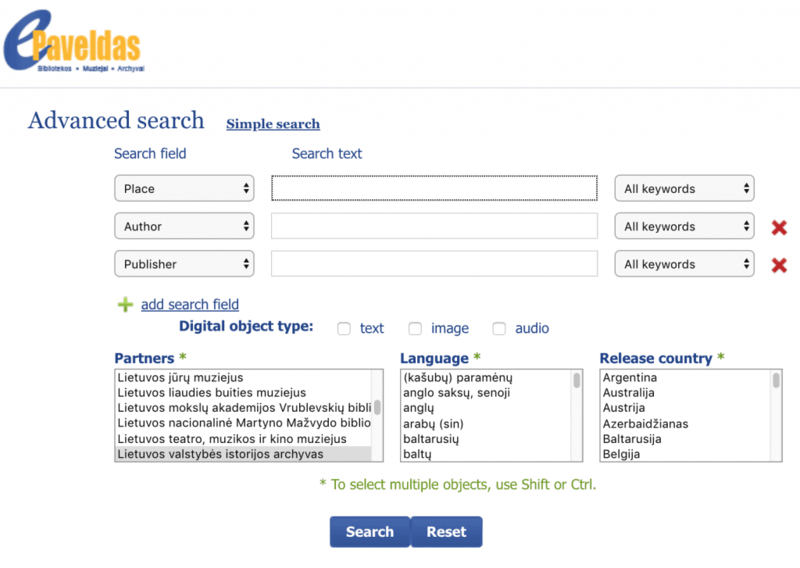 You can see any online collections from the Utena Branch by using the advanced search window at ePaveldas.lt and filtering search results by “Lietuvos valstybės istorigjos archyvas” or use the Search field and filter by one of the locations (with or without the diacritics) overseen by this archive (Utena, Molėtai, Ignalina, Zarasai, and Anykščiai).